Was Singer Li Zhi Censored in Sichuan? This week we have a number of interesting stories in the Chinese media, including new budgetary outlays for the development of local “convergence” Party media — a sign that the Party is looking to rebuild the entire Party media structure from top to bottom — as well as similar news that the Central Propaganda Department is now seeking to employ 150 personnel to further develop the “Xi Study Strong Nation” app that has gotten attention in recent weeks for its gamification of Party ideology. Also this week, there were suggestions from Sichuan province that the February cancellation of a concert tour there by singer Li Zhi (李志) was not in fact due to his physical condition, but rather to problems with the singer’s “improper conduct,” very likely a reference to his political views. 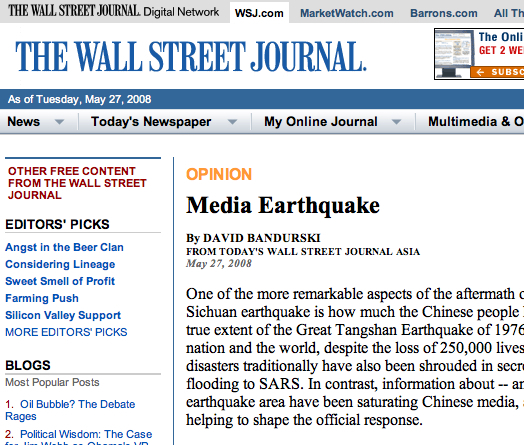 Certainly, this is a sensitive year for the CCP, with many sensitive anniversaries on the horizon. On March 30, 2019, a forest fire broke out in Muli County (木里县) in Sichuan’s Liangshan Prefecture (凉山州), rapidly spreading across the area. By April 4, the fire had claimed the lives of 30 people, including 27 firefighting personnel and 3 others. At around 6PM on April 4, local police issued a public notice saying that it had identified 13 cases of insults directed at “martyrs” who had joined the firefighting effort. Internet users, said the notice, had broadcast their insults through friend circles (朋友圈) and group chats, and after being locked out of their services by online authorities, two of these had surrendered to local police, and 11 others had been arrested or summoned. Four have so far been subjected to administrative detention (行政拘留), and 7 face detention on criminal charges (刑事拘留). Authorities in Panyu District, on the south side of the southern city of Guangzhou, also reported on April 4 that an internet user had “openly slandered and insulted” the martyrs of the Sichuan fire. That same day a web user identified only as “surnamed Zhao, age 38, from Guangdong” (男，38岁，广东人) was arrested on suspicion of “disorderly conduct” (涉嫌寻衅滋事罪). 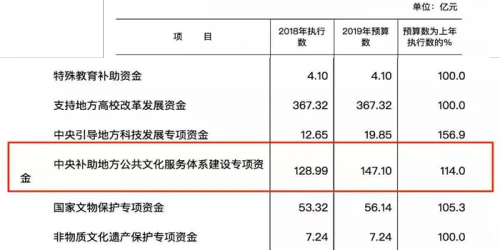 On April 2, the Central Party published its budget (中央财政预算), which included 14.7 billion yuan allocated nationwide for “local public cultural services development” (地方公共文化服务体系建设), and increase of 14 percent from the 2018 budget. The increase was accounted for largely by nw allocations for the support of “convergence media” (digital multimedia) development at the county level. These “convergence media” will be charged with playing a key propaganda role at the local level. In recent years, local county-level and other local media in China have faced serious financial shortages, and some areas have been behind in payment of wages. The new budget outlays are apparently an effort to deal with such issues, and to remake and refinance propaganda at the local level. On April 4, discipline inspection authorities in Hunan province opened an investigation against Huang Wei (黄伟), the former deputy director of the Hunan Broadcasting System. Huang Wei is accused of violating the spirit of the CCP’s “Eight-Point Frugality Code” (中央八项规定) by accepting monetary gifts and “obtaining advantages and accepting gifts from others through his position” (在职工录用中为他人谋取利益并收受财物). Discipline inspection authorities further accused Huang Wei of “losing faith in [Party] ideals and lacking the principle of Party nature,” working together with his superior to seek riches in violation of Party discipline. Recently the China Media Group (中央广播电视总台), also known as “Voice of China,” issued a public call for the hiring of 300 personnel, including 150 people who would be responsible for content operations for the “Study Xi Strong Nation” (学习强国) app, a new platform that seeks to push engagement with official Party ideology and the speeches and statements of Xi Jinping. The positions advertised include editors to produce digital audio and video content, as well as personnel to review content. The WeChat public account “CCTV News” reported that this hiring for the “Study Xi Strong Nation” app was in response to demands from the Central Propaganda Department for the establishment of a dedicated personnel team for the app’s operation under the leadership of the propaganda department as an enterprise division of the China Media Group. 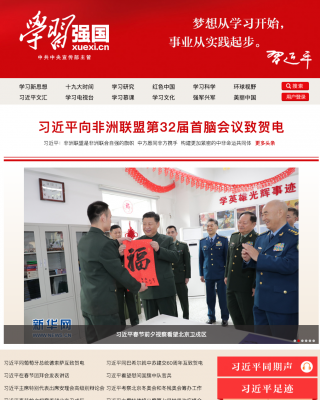 The “Study Xi Strong Nation” app is managed by the Central Propaganda Department and was formally launched on January 1, 2019. As of April the app had registered more than 100 million users, with 40–60 percent of users active on a daily basis. On April 3, Sichuan province’s Office of Culture and Tourism (文化和旅游厅) held a news briefing (新闻通气会). According to a report from Chengdu-based Red Star News (红星新闻), in February this year the Sichuan Department of Culture and Tourism (四川省文化市场执法监督局) directed culture offices at the provincial and city levels to “urgently cease plans by a certain well-known vocal performer showing improper conduct (某行为不端知名声乐演员) to give 23 personal performances in Sichuan” and to refund 18,000 tickets already purchased. According to previous promotional materials from Chinese singer Li Zhi (李志), he had been scheduled to perform in Sichuan from February 23 to April 20 this year, with 23 performances scheduled in all. 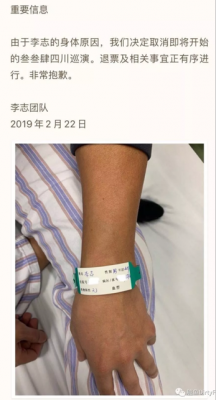 But on February 22, the night before his first scheduled concert, Li Zhi posted an image to his personal Weibo account of a hospital band around his wrist, suggesting that he was seeking medical treatment, and announcing that the Sichuan tour had been cancelled as a result. Members of Li’s band later confirmed that the concert tour had been cancelled for reason’s relating to Li’s physical condition. On April 4, other media confirmed that the “well-known vocal performer showing improper conduct” mentioned in the official release was indeed Li Zhi. 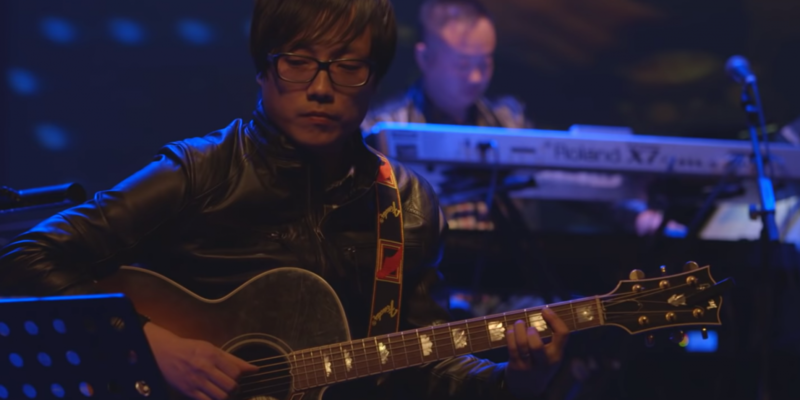 In a subsequent interview with the Beijing Youth Daily, members of Li Zhi’s band claimed to be surprised by reports that Li Zhi was the “well-known vocal performer showing improper conduct” mentioned in the Sichuan release, and they said that the concert tour had indeed been cancelled at the time because Li was scheduled for minor surgery. Later in the afternoon on April 4, the Sichuan Department of Culture and Tourism issued a statement saying that its actions in February were strictly in accordance with the Regulation on the Administration of Commercial Performances (营业性演出管理条例), and that more should be read into the situation. But the case continued to raise speculation that Li Zhi has faced pressure for his outspoken political views. A number of Li Zhi’s songs, including “The Square” (广场), which deals with June 4, 1989, have tackled sensitive issues, and Li’s Weibo account has been suspended in the past.